In addition, the Restaurant Paloma in Mougins (+33 4 92 28 10 73) has added a second star. 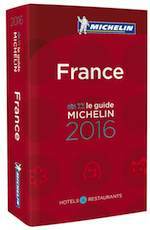 Michelin 2016 is available on Amazon.fr, price 24.90 euros. Bon appetit!